A number of clinical and epidemiological studies have indicated that children with autism spectrum disorder (ASD) are at increased risk for gastrointestinal (GI) problems. Research suggests that certain behaviors among children with ASD may reflect underlying GI problems and that the presence of these behaviors may indicate the need to evaluate a child with ASD for GI problems. Specific behavior problems proposed as possible expressions of GI distress include sleep disturbances, stereotypic or repetitive behaviors, self-injurious behaviors, aggression, oppositional behavior, irritability or mood disturbances, and tantrums. A recent pediatric consensus report called for additional research on the association between problem behaviors and GI problems, and for the development of a screen for GI problems in children with ASD. A brief report published in the Journal of Autism and Developmental Disabilities compared the behavioral features of children with and without a history of GI problems. The purpose of this population-based study of 487 children with ASD, including 35 (7.2%) with a medically documented history of GI problems, was to determine whether particular behavioral characteristics occur more frequently among those who have been diagnosed with a GI problem than those without a medically documented history of GI problems. 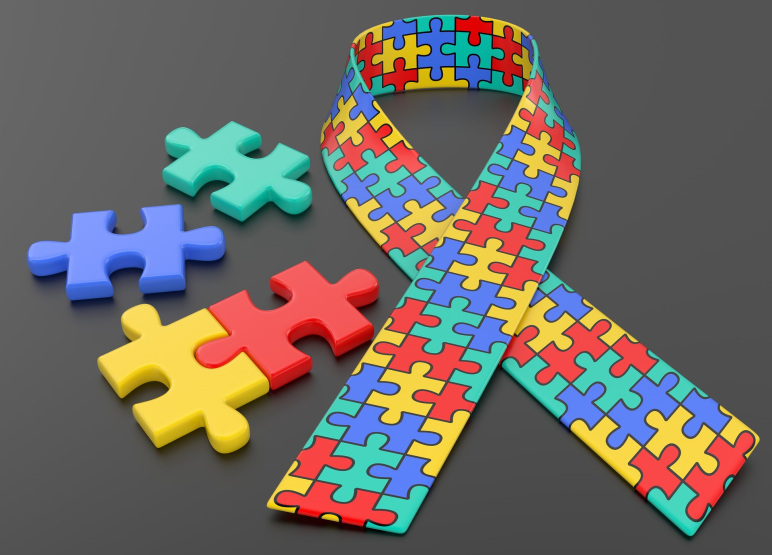 The researchers implemented a cross-sectional study of children who were 8 years of age and met the case definition for ASD through the Centers for Disease Control and Prevention’s Autism and Developmental Disabilities Monitoring (ADDM). Eight behavioral features were identified that may be indicative of GI problems among children with ASD which had analogous measures in the ADDM data set: 1. abnormalities in sleeping; 2. stereotyped and repetitive motor mannerisms; 3. self-injurious behaviors; 4. abnormal eating habits, 5. abnormalities in mood or affect; 6. argumentative, oppositional, defiant, or destructive behaviors; 7. aggression; and 8. temper tantrums. Demographic data, healthcare and medical records, descriptions of behaviors, diagnostic summaries, psychometric test results, and information about co-occurring disorders or disabilities were collected and entered into a centralized composite record and reviewed by trained clinicians according to a specified protocol to determine case status and associated behavioral features (e.g., abnormalities in sleeping). The results indicated that children with sleep abnormalities were more likely to have a medically documented history of GI problems (11%) than those without sleep problems (3.6%). Similar associations were seen for argumentative, oppositional or destructive behavior, abnormal eating habits, mood disturbances and tantrums, although the associations for mood disturbances and tantrums did not reach statistical significance. In contrast, the researchers found no associations between the presence of GI problems and stereotypic/repetitive behaviors and self-injurious behaviors. Notably, nearly all of the children with ASD, including all 35 with a documented history of GI problems, exhibited at least one of the behavior problems hypothesized to be potential indicators of GI distress. For this reason, these behaviors would not be useful as a potential screen for GI problems in that virtually all children with ASD would potentially be referred for GI evaluations. This study provides some support for the hypothesized association between selected behavioral characteristics in children with ASD and the occurrence of GI problems. The study found significant positive associations for several behaviors hypothesized to be expressions of GI problems in children with ASD. Certain behaviors, including abnormalities in sleep patterns, abnormalities in eating habits, and argumentative, oppositional, defiant or destructive behavior were described significantly more often in children with ASD who also had GI problems than in those with ASD and no history of GI problems. Perhaps the most important contribution of this study is the finding that the behavioral characteristics hypothesized to be expressions of GI problems are very common in children with ASD, yet not specific to those with GI problems. Although GI problems may contribute to selected behaviors in some children with ASD, these behaviors are also frequent in children with and without ASD (nearly all children had 1 or more behaviors) and are unlikely to efficiently predict GI problems in children with ASD. As a result, the presence of these behaviors would not be useful on their own for screening or identifying children requiring GI evaluation. 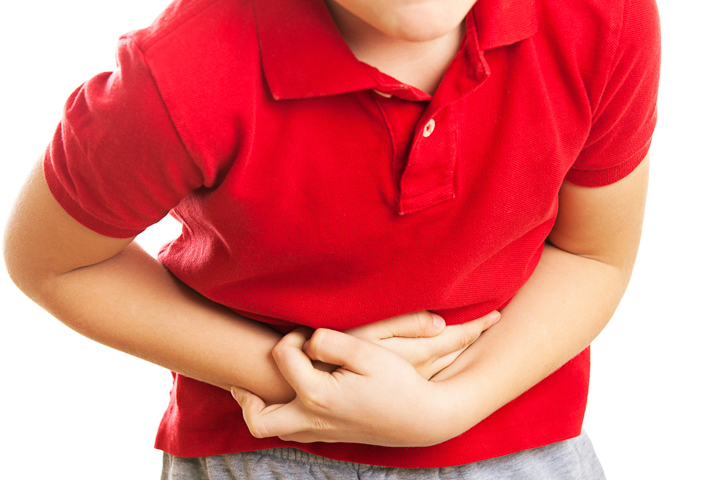 Nevertheless, practitioners should be aware that certain behavioral problems observed in children with ASD may be indicative of a child’s response to, or attempt to communicate the discomfort of, an underlying GI problem. This condition can seriously affect the individual’s quality of life and ability to participate education and therapeutic activities. Consideration of medical, biological, or physiological co-occurring conditions, genetic susceptibility, diet and nutrition, and medication use are necessary to determine whether co-occurring behavioral problems and GI distress may be present in a child with ASD. Indeed, a comprehensive developmental assessment approach requires the use of multiple measures including, but not limited to, verbal reports, direct observation, direct interaction and evaluation, and third-party reports. This should include a record review, developmental and medical history, further medical screening and/or evaluation, and parent/caregiver interview. Lastly, further research is needed to develop recommendations for diagnostic evaluation and management of GI problems for individuals on the spectrum. Lee A. Wilkinson, PhD, NCSP is author of the award-winning book, A Best Practice Guide to Assessment and Intervention for Autism and Asperger Syndrome in Schools, published by Jessica Kingsley Publishers. He is also editor a best-selling text in the American Psychological Association (APA) School Psychology Book Series, Autism Spectrum Disorder in Children and Adolescents: Evidence-Based Assessment and Intervention in Schools, and author of the book, Overcoming Anxiety and Depression on the Autism Spectrum: A Self-Help Guide Using CBT. 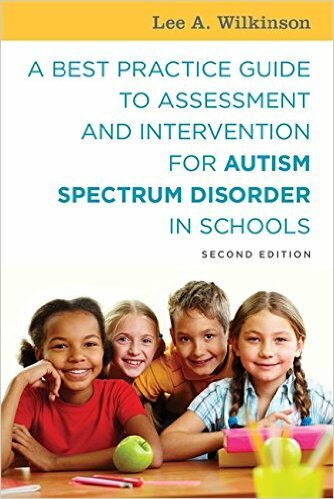 His latest book is A Best Practice Guide to Assessment and Intervention for Autism Spectrum Disorder in Schools, (2nd Edition). Severe impairment in social reciprocity is the core, underlying feature of ASD. Socialization deficits are a major source of impairment, regardless of cognitive or language ability and do not decrease with development. This includes difficulties in communicating with others, processing and integrating emotional information, establishing and maintaining reciprocal social relationships, taking another person's perspective, and inferring the interests of others. Intervention approaches and nontraditional therapies aimed at improving the everyday lives and social interactions of individuals with ASD are routinely discussed and advocated by researchers, parents and professionals. 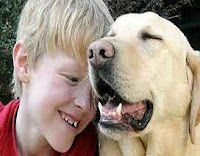 For example, several studies suggest that children learn prosocial behaviors through their interactions with pets. The arrival of a pet in a family has also been shown to increase the level of interactions between family members: they spend more time together and share joint attention on the new family member. Although animal-assisted therapies (AAT) are increasingly recommended, their relevant benefits for individuals with ASD are in need of research attention. A study published in the open access journal PLoS ONE evaluated the association between the presence or the arrival of pets in families with an individual with autism and changes in his or her prosocial behaviors. Researchers hypothesized that a pet (e.g., dog, cat) at home might help individuals with autism to develop some prosocial behaviors. The study compared three situations: (1) never owned a pet, (2) owned a pet since birth (e.g., pet has been part of the individual’s environment), or (3) owned a pet after the age of 5. Of 260 individuals diagnosed with autism – on the basis of presence or absence of pets - two groups of 12 individuals and two groups of 8 individuals were assigned to: study 1 (pet arrival after age of 5 versus no pet) and study 2 (pet versus no pet), respectively. Evaluation of social impairment was assessed at two time periods using the 36-item Autism Diagnostic Interview (ADI-R) algorithm and a parental questionnaire about their child-pet relationships. Comparison of ADI-R assessment between the groups at two different time periods revealed significant changes in ADI-R scores only in the group experiencing the pet arrival in their homes. The results indicated that 2 of the 36 items changed positively between the age of 4 to 5 and time of assessment in the pet arrival group (study 1): ‘‘offering to share’’ and ‘‘offering comfort’’. Both items reflect prosocial behaviors. There appeared to be no significant changes in any item for the three other groups. The interactions between individuals with autism and their pets were more – qualitatively and quantitatively - reported in the situation of pet “arrival” than pet presence since birth. One interesting finding was that similar results were observed for the individuals who were in the presence of a pet from birth and those who never owned a pet. The sole presence of the pet did not result in a benefit for the individuals with autism. Changes were only observed in the group where the pet arrived after the age of 5. This study suggests that in individuals with autism, pet arrival in the family setting may bring about changes in specific aspects of their socio-emotional development. The findings infer that with parental support, the child involvement towards a pet may influence his/her socio-emotional development. An important finding of the study was that the sole presence of the pet did not confer benefit for the individuals with autism. It appears that the quality of relationship with one’s own pet may be a direct determinant of the individual’s socio-emotional development and ‘‘pet bonding’’ is a stronger determinant of pet-associated benefits than the sole pet ownership. The researchers also suggest that the arrival of a pet strengthens the cohesion of the family and increases the levels of interactions between their members. That is, a new pet arrival might induce an increased interest of the individuals towards the pet and/or their involvement in the family’s interactions. Although these results are promising, further research is needed to explore the association between the arrival of a new pet and the change in prosocial behavior. While the study has limitations and didn’t allow the researchers to clarify the precise role of pets in the families who already owned pets, this study opens interesting areas of research exploring the efficacy of animals employed in AAT settings. The term Autism Spectrum Disorder (ASD) refers to a single diagnostic category that includes two core-defining features: impairments in (a) social communication and (b) restricted and repetitive behaviors or interests (American Psychiatric Association [APA], 2013). There is, however, marked variability in the severity of symptomatology and need for support across individuals with ASD. Symptom expression falls on a continuum and will vary from the significant impairment to more capable individuals with higher cognitive and linguistic abilities. For example, the level of intellectual functioning can range from persons with cognitive impairment to those who score in the superior range on traditional IQ tests, from those who are socially intrusive to those who are social isolates, and from those with limited communication skills to those with precocious and advanced vocabulary. The dramatic increase in the prevalence of ASD among children indicates that a correspondingly large number of youth will be transitioning into adulthood in the coming years. In fact, approximately 50,000 adolescents with autism will turn 18 years old this year in the U.S. As a result, colleges and universities can expect to enroll more students who have been diagnosed with ASD in the near future. As more young people are identified with ASD without co-occurring intellectual disability, it is imperative that we begin to study the needs of young adults as they transition into postsecondary employment and education. A study published in the journal, Autism, examined the prevalence of higher functioning students with ASD at a single university both diagnostically and dimensionally, and surveyed students on the characteristics, problems, and risks associated with ASD. Researchers found that between .7% and 1.9% of a large sample of students (n = 667) could meet criteria for ASD depending on whether ASD is viewed categorically or continuously, and that the true prevalence likely falls somewhere between these two estimates. This suggests that symptoms of ASD are fairly common among college students in this sample and that upwards of 1 in 100 students may meet criteria for an ASD diagnosis. An important finding was that none of the students who met the formal criteria for receiving a diagnosis of ASD had been diagnosed previously. Thus, it is possible that some college students who would meet ASD diagnostic criteria begin their college careers unidentified. This is concerning given the degree to which ASD symptoms were found to correlate with other mental health problems, most notably social anxiety and dissatisfaction with college and life overall. For example, symptoms of ASD were fairly common among students surveyed. From a dimensional perspective, those students scoring above the clinical threshold for symptoms of autism self-reported more problems with social anxiety than a matched comparison group of students with lower autism severity scores. In addition, symptoms of ASD were significantly correlated with symptoms of social anxiety, as well as depression and aggression. These results have implications for clinical and educational practice, and illustrate the importance of screening for autism-related impairment among university students. In the coming years, colleges and universities may expect to enroll more students who have been diagnosed with ASD, students who meet criteria for the disorder but who not been identified, and students who would fall into the category of the broad autism phenotype. University administrators, educators, and the personnel who serve students with disabilities must be attentive of this group of individuals and identify approaches to make college a successful and rewarding experience. Unfortunately, we know little about how best to facilitate success and ease transitions for these students. The evidence base informing strategies for helping this population is poorly developed. Their needs are diverse and include problems with time management and scheduling, self-advocacy, isolation, interpersonal difficulties, and study skills development. The presence of psychiatric comorbidities (e.g., depression) and academic/ life dissatisfaction must also be included among the list of potential concerns. Although the number of colleges and universities providing opportunities for young adults with autism has been growing in recent years, there is a need for wider adoption of programs and resources to support young adults with ASD as they transition into and from college. The focus of intervention/treatment must shift from remediating the core deficits in childhood to promoting adaptive behaviors that can facilitate and enhance ultimate functional independence and quality of life in adulthood. This includes new developmental challenges such as independent living, vocational engagement, postsecondary education, and family support. U.S. Centers for Disease Control and Prevention. (2012). 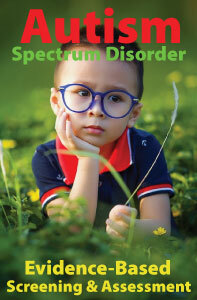 Prevalence of autism spectrum disorders. Autism and developmental disabilities monitoring network, 14 sites, United States, 2008. Morbidity and Mortality Weekly Report Surveillance Summaries, 61(3), 1-19. Atlanta, GA: Author. Lee A. Wilkinson, PhD is author of the award-winning books, A Best Practice Guide to Assessment and Intervention for Autism and Asperger Syndrome in Schools and Overcoming Anxiety and Depression on the Autism Spectrum: A Self-Help Guide Using CBT. He is also editor of a best-selling text in the American Psychological Association (APA) School Psychology Book Series, Autism Spectrum Disorder in Children and Adolescents: Evidence-Based Assessment and Intervention in Schools. Dr. Wilkinson's most recent book is A Best Practice Guide to Assessment and Intervention for Autism Spectrum Disorder in Schools, (2nd Edition).